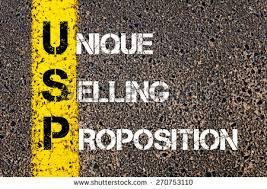 Unique Selling Proposition or USP is very important when you come to the querying, publishing, and marketing phase of your book. By comparing similar published works to your work-in-progress, you can understand what is different about your book. What is the ‘aha’ factor that makes your book better? Why would a reader buy your book when the bookshelves are loaded with titles with similar storylines? By emphasizing on the USP of your book, we can make the agents/editors understand what makes our work stand out. To find out the USP of the book, you need to answer the following questions about your work. What is the genre of your book? Is the type of story you are writing common in the genre your book falls in? Who is your target reader? What is the age-group? Male or female? For example, romance works are mainly targeted at females in the age group of 25-45. What are the factors in your book that will appeal to your target reader? 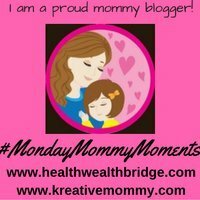 How is your book different compared to similar books? What is the take away for your reader? 1 Next, you have to write a one-sentence summary of your book. Are you wondering why? Imagine you have to pitch your core book idea book to an agent/editor or marketer you accidently bump into in an elevator? You don’t have much time, remember? If you can make this ‘Elevator Pitch’ very impressive and interesting, you might soon end up with a book contract. This is your book's USP. This one sentence summary can come in handy when you write a query letter, design banners for promotions and also while writing the book blurb. If you want to know more about writing a brilliant elevator pitch, read this article. Harry Potter: Adventures of an ordinary boy who discovers he is actually a wizard destined to fight the evil dark wizard Voldemort to save the wizarding world. An easy method to find the USP of your book. Read them as if you are the target audience. Will you read such a book? Modify accordingly. What is the USP of your book? Have you read the Letters A, B, C, D, E, F, G, H I J K L M N O P Q R S and T? Very interesting. I especially like the last part, abotu the logline, since I've been struggling to write my own. This post is quite useful. I have missed lot of your posts this month... will catch up soon and get some insights! Glad to have you over, Geethica. Off to read your post. Wow! Glad you liked it. All the best for your book. Tips for finding USP and the one line book summary idea sounds great .Wil try it out.